In the genetic gold rush ‘researchers’ and companies, now backed by local and global patent regimes which grant the ‘inventor’ exclusive monopoly rights over new ‘inventions’ can deny the very communities which have developed natural cures or technologies the right to use them. Conservation International’s role is to provide relatively cheap scientific expertise for corporations well aware of the labour-intensive nature of searching out new potential products based on natural remedies or applications. A seemingly well-intentioned ‘non-profit’ organisation like Conservation International can act as an intermediary to gather knowledge and agreement from local communities, and do much of the legwork in collecting and testing samples. This friendly face of biocolonialism offers the modern-day equivalent of beads and trinkets to these communities. Exploitative and unethical ‘benefit-sharing’ agreements are drawn up, with a few market-based community economic development programmes for the locals on the side: some ecotourism here, some fair trade coffee production there. Conservation International’s track record suggests a motivation to conserve biodiversity for bioprospecting for its private sector partners rather than any concern for the rights of the peoples who have lived with, and protected these ecosystems for so long. Conservation International’s involvement in the Selva Lacandona, Chiapas, is deeply disturbing. Through a 1991 debt-for-nature swap, Conservation International bought the right to set up a genetic research station in the Monte Azules Integral Biosphere reserve in the Selva (rainforest). With Conservation International, the Mexican government has been engaged in a repressive military campaign against indigenous peoples in Chiapas, especially those which support the Zapatistas. They have been forcibly evicting indigenous communities in Montes Azules, accusing them of destroying the rainforest. The Selva is home to many Zapatista bases, as well as being an area rich in timber, biodiversity, oil, petroleum and mineral resources. The presence of the Zapatistas and autonomous indigenous communities in the region presents an obstacle to those like the Mexican government and transnational – especially US – corporations which want to exploit these resources. Conservation International is using its considerable financial resources, political influence and environmental sweet talk to quietly access, administer and buy biodiverse areas throughout the world and put them at the disposal of transnational corporations. Conservation International’s Centre for Applied Biodiversity Science (CABS) “brings together leading experts in science and technology to collect and interpret data about biodiversity, develop strategic plans for conservation, and forge partnerships in all sectors that promote conservation goals”. CABS runs 3-4 week long Rapid Assessment Programs (RAPs) to “rapidly provide biological information needed to catalyse the conservation of critically endangered habitats worldwide.” Through these and other programs Conservation International has been assembling biodiversity databases for different regions. RAP’s slogan is “So many species…so little time.” No doubt this sentiment is shared by the pharmaceutical and agrochemical corporations which enjoy Conservation International’s support. Meanwhile, given the significant involvement of mining, oil and gas corporations in Conservation International’s program it is sobering to note that many of its “biodiversity hotspots” and project operations are on or adjacent to major sites of oil, gas and mineral exploration and extraction – Chiapas, Palawan (Philippines), Colombia, West Papua, Aceh (Indonesia) and Papua New Guinea, for example. In September 2002, Anglo-Australian mining giant Rio Tinto launched a partnership with Conservation International in south-eastern Guinea’s Pic De Fon, giving support for a RAP of the rich biodiversity in a forest area which Rio Tinto was exploring (the company has diamond and iron ore operations in Guinea). Rio Tinto’s environmental policy adviser Tom Burke sits on the advisory board for Conservation International’s Centre for Environmental Leadership in Business (CELB), along with executives from International Paper, Starbucks, and BP. According to Conservation International, the partnership in Guinea “addresses Rio Tinto’s business needs while furthering Conservation International’s conservation goals.”  The CELB is a partnership between Conservation International and the Ford Motor Company, and its executive board is chaired by Lord Browne of Madingley, the Group chief executive of BP. Conservation International also enjoys a close relationship with USAID – which actively promotes biotechnology and other US corporate interests around the world in the guise of development assistance. Conservation International is uncritical about the impact of economic injustice on the environment and biodiversity. It proposes market solutions to address environmental destruction that has been caused or exacerbated by free market capitalism. It advances the view that the best way to conserve biodiversity is to privatise it. US journalist and writer Bill Weinberg sees this worldview leading to tropical forests becoming “corporate-administered genetic colonies.”  While frequently opining that slash-and-burn agriculture and over-population threaten biodiversity, Conservation International willingly collaborates with, and fails to condemn, some of the world’s most ecologically destructive corporations and institutions devastating the planet. Conservation International is a proponent – and beneficiary of – controversial debt-for-nature swaps whereby commitments to preserve and ‘sustainably manage’ ecologically significant lands have been traded for writing off a small part of a government’s debt. Conservation International’s Guerin-McManus describes this as the “greening of international finance.”  But many see these deals as an ingenious way to facilitate easier access to bioprospectors for industry, and easier extraction of yet more resources from the South – in particular, from indigenous peoples. And they fail to challenge the social and environmental injustices created or worsened by a model of ‘development’ that burdens the majority of the world’s peoples with unsupportable debts. Conservation International works with the World Bank in the Critical Ecosystem Partnership Fund set up in 2000. World Bank President James Wolfensohn chairs the donor council for this initiative , which adds an unconvincing dab of green to an institution which continues to finance environmentally destructive infrastructure projects and promotes a neoliberal model of economic development which views people and the environment as mere commodities. The terms “greenwash” and “corporate front group” seem inadequate to describe Conservation International. 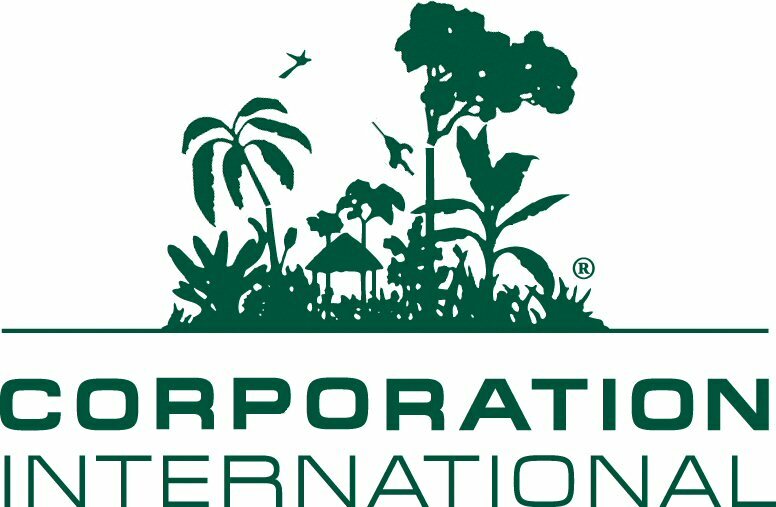 Perhaps, as the Papua New Guinean critique puts it, Conservation International is “no more and no less a ‘non government’ organisation than is General Electric or Microsoft.”  Perhaps it is time to consider a global campaign to expose this ‘green’ giant’s true colours and put a stop to its operations. Bill Weinberg, “Biodiversity Inc: Mexico Tries a New Tactic Against Chiapas Rebels—Conservation”, In These Times, 21 August, 2003.